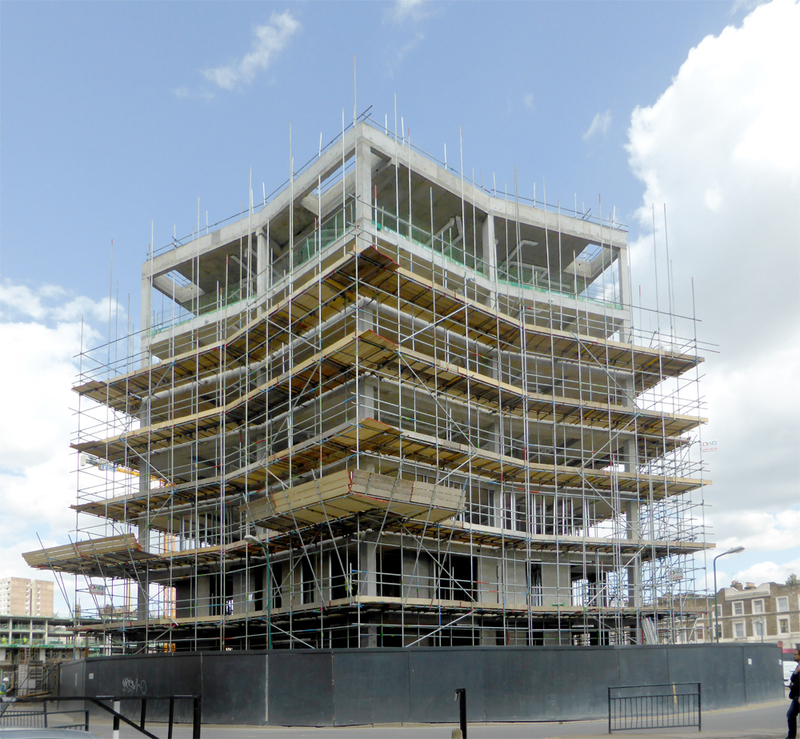 Construction has reached roof level at the South Block of South Kilburn Estate Regeneration Phase 2A. ABA’s South Block, within a 229 unit scheme designed by Alison Brooks Architects and Lifschutz Davidson Sandilands, is being delivered by Network Housing Group and United House as part of the London Borough of Brent’s South Kilburn Regeneration Programme. With diamond shaped columns and 100% double aspect flats, ABA’s distinctively shaped point block to the south of the site is currently emerging out of the ground. More updates to follow as construction progresses.